As a 13-year-old, Allan Dunn climbed on his rickety bike and went for a training ride with a mate. It was the spark which ignited a love for the sport of cycling - a love which has extended almost 50 years. Since that training ride as a 13-year-old, Dunn has immersed himself in the sport, both as a competitor and at the administration level. 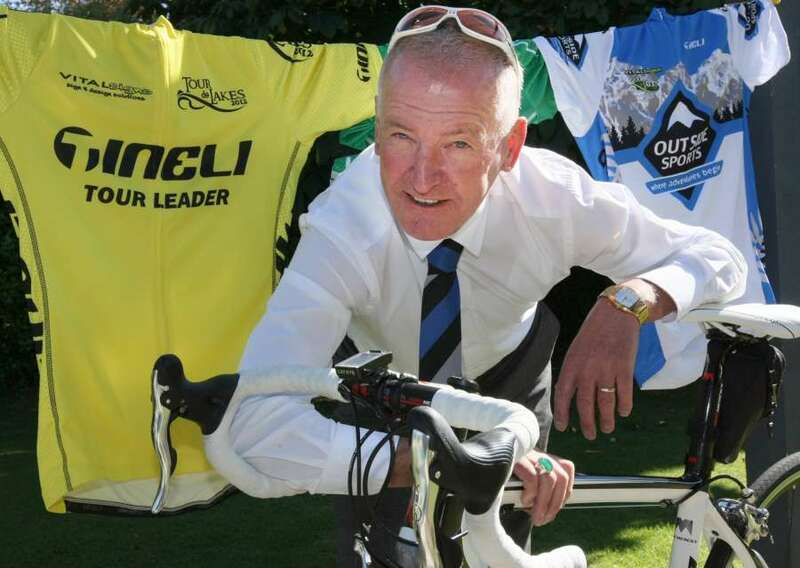 The Invercargill real estate agent has held many posts in cycling administration over the years, with the most notable contribution, his role as a volunteer organiser of the Tour de Lakes Classic. He has held the role for 20 years and said it was like holding two fulltime jobs but only getting paid for one. Dunn previously was a long-time member of the Glengarry Amateur Cycling Club (GACC), serving three terms as club captain and three terms as the club's president. He has been a key figure in helping female riders get separation from males in tour riding. To add to it all, he also rode around the SIT Velodrome for 24 hours with Matt Randall. The pair raised $15,000 for Paul Crake, who was paralysed after a crash in the 2006 Tour of Southland. It was little surprise for most that Dunn was honoured at Cycling New Zealand AGM on Saturday in Christchurch with the Lifetime Service Award. For Dunn though, he never saw it coming. "It blew the socks off me to be honest. I was completely smacked by it," he said. "I got up there to say a few words and for the first time in my life, I was actually short of a few words. I actually said, 'In my job in real estate we are trained for scripts and dialogues, but I'm lost for words'." Dunn has poured much of his spare time into cycling and he has no regrets. Cycling is his passion and he does not see his involvement with the sport stopping anytime soon. "It is the sport I love and it is a sport that has given me so much back over the years. [Cycling] has been a big part of my life." "When I started organising the Tour de Lakes, I never knew what would happen. You just do something and it grows into a passion," he said. Dunn said he would not have been able to put so much time into cycling without the help of his family. They supported him rather than questioned why he was spending so much time organising the Tour de Lakes, he said. "They do so much behind the scenes and without them it all would not have happened." Dunn's Lifetime Service Award was one of many Southland highlights at the Cycling New Zealand AGM. Steve Canny was named president of Cycling New Zealand and Erin Criglington was named as the South Island representative for Cycling New Zealand.